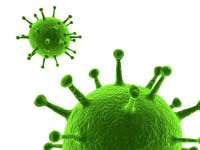 Swine flu - are we at greater risk? In late 2009 through to 2010 swine flu was declared to be a pandemic by the WHO. In August 2010, the WHO de-classified the virus as a pandemic but advised that swine flu should not be ignored. Coupled with the media hype around swine flu and the fact that the virus is predominantly killing those with underlying illnesses, people with diabetes were understandably alarmed. In 2010, swine flu is still present and the Health Protection Agency are urging people in higher risk groups, such as those with diabetes, book themselves in for a free flu jab. Am I more likely to get swine flu if I have diabetes? Diabetes and swine flu are not associated. If you have diabetes, there is no greater likelihood of you developing swine flu. However, those people with diabetes that develop swine flu may find blood sugar levels become affected, and diabetes management and treated must be adjusted accordingly. If you are diagnosed with swine flu and you have diabetes, your doctor or healthcare professional will provide you with guidance. Swine flu (H1N1) symptoms are similar to common flu. If you have diabetes and fear you have swine flu, you should contact your healthcare professional immediately. Swine flu can be dangerous for people with diabetes because it can worsen blood glucose treatment and require more active treatment. There are a number of prevention mechanisms people with diabetes can take to avoid swine flu. For instance, learning about the condition and the hygiene techniques is important. If the pandemic develops, experts advise purchasing face masks and minimising contact with other people. If you do contract swine flu, you will likely be treated either by paracetamol, anti-viral medications such as Tamiflu, Relenza or if complications develop, by antibiotics. In the majority of cases, swine flu is not fatal.